In Washington, D.C., the Department of Motor Vehicles (DMV) administers driver's licenses to eligible applicants. The DMV issues REAL ID driver's licenses—cards you may use as identification to board domestic flights and enter federal facilities—as well as limited purpose driver's licenses, which ARE NOT acceptable for federal use. The required documentation for each varies slightly. The process can be quite daunting, so be sure to review this handy guide to make sure you have everything you need to get on the road. If you're a teenager, visit our Applying for a New License (Teen Drivers) for information on applying for your first D.C. driver's license. If you've recently moved to Washington, D.C., or are visiting for 60 days or longer, you must apply for a D.C. driver's license to legally operate a vehicle in the state. There are a few exceptions to this rule. Certain people, such as students, part-time residents, and certain government officials, may be eligible for a so-called reciprocity permit. Visit the D.C. DMV website for more information. Your out-of-state/country driver's license (if it has been expired for longer than 90 days, you must pass a road test). If you don't have your out-of-state driver's license, you can submit a certified driving record that was issued within the last 30 days. Payment. See “Fees for a D.C. Driver's License" below. You will need to pass a vision screening test and surrender your out-of-state driver's license. The D.C. DMV will issue you a temporary paper driver's license to use until you receive your permanent card in the mail. NOTE: If you're a non-U.S. citizen, you can't apply for a D.C. driver's license if you're just visiting. Teen drivers-to-be should visit our Applying for a New License (Teen Drivers) in Washington, D.C. page for application instructions. Residential address in D.C. (2 documents). This is offered in a number of different languages. 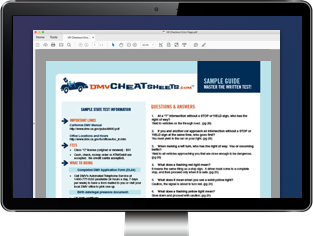 Please see the D.C. DMV's guide to the written license test for a list. Pay the required fees. See “Fees for a D.C. Driver's License" below. You will need to pass a road test before you will be issued a D.C. driver's license. See "Road Skills Test" below. You must make an appointment for your road skills test; the D.C. DMV doesn't allow walk-ins. The vehicle has a valid inspection sticker and license tags. The vehicle is in good working order with appropriate rearview mirrors, a functioning emergency brake, brake lights, signals, and driver's side window. NOTE: You can't drive yourself to your appointment. If you don't show up with a licensed driver who is at least 21 years old, the D.C. DMV will cancel your appointment. Once you pass the road skills test, you'll immediately receive your driver's license. There is no waiting period. If you fail the road skills test, you can take it again in 72 hours; however, if you fail the test 6 times, you must wait 1 year from the 1st test date to take it again. Driver's license: $47 for 8 years. For a complete list of driver's license fees, visit the Washington, D.C. website.